Dalmatian puppies are born without spots. Forget the Disney version of dalmatian puppies -- they're not in danger of being made into spotted-fur coats. The real deal are much more interesting than 101 Dalmations depicted them. Even if Cruella DeVille successfully captured the puppies, she'd regret it: Her coat would shed like crazy. The dalmatian probably didn't originate in Dalmatia, according to the American Kennel Club. However, it is a very old breed, as reference to spotted dogs is found in sources dating from ancient Egypt to the European Renaissance. The dalmatian has historically been a jack-of-all-trades canine, ranging from guard dog, shepherd and draft animal to ratter and hunting dog. However, his primary use for many centuries was as a coaching dog, following a coach and horses. Modern dalmatians retain a good working relationship with equines. Dalmations were 19th and early 20th century firehouse mascots that followed the horse-drawn fire apparatus to the scene of the blaze, according to the Dalmatian Club of America. When choosing a purebred puppy, it's important to know what the dog was originally bred to do. That's why owners shouldn't be surprised when terriers dig, border collies herd and retrievers jump into the pool. Dalmatians were bred as coaching dogs, meaning a dog bred to run for miles daily. There is no such thing as too much exercise for a dalmatian. Without exercise, you could end up with a frustrated, destructive dalmation. He makes a wonderful companion for jogging and long walks. Smart and easy to train, your dalmatian likes to be where the action is -- that's with you, as far as he's concerned. Because he's so active, if he must be left alone a lot due to work concerns you might want to arrange for doggy day care. 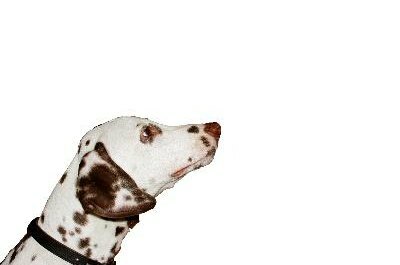 Investing in obedience classes is a good idea for any breed, but especially so for a dalmatian. He loves to learn, and training creates another bond between you. He wants to be a good dog, but may need guidance because he's just so energetic. Some dalmatians are born deaf. Since congenital deafness is readily apparent, you don't have to worry about that in your puppy. However, other puppies are born deaf in one ear, and that is not as obvious. Responsible breeders should conduct a hearing test before selling a puppy. A dog with partial deafness can make a fine pet but should not be bred. Dalmatians tend to excrete high levels of uric acid when peeing, which might cause bladder and kidney stones. Ask your vet about the right diet to prevent painful stone formation. Besides the distinctive color pattern, there's something else you must know about your dalmatian's coat. No, some evil woman is not going to steal him because of it. Dalmatians shed year round, so buy plenty of brushes and decorate your house so the hairs don't show. Each dalmatian possesses a unique number and pattern of spots. Dalmatians are either black and white or liver and white. American Kennel Club : Dalmatian Did You Know? Does Having Two Puppies Help With Separation?